Automobile transport causes damage to both humans and nature due to road accidents and air pollution by exhaust gases, as well as by expanding consumption of non-recoverable natural resources in the form of liquid and gas fuels. For solving such problems there are represented strict requirements for the reliability and durability, fuel efficiency, maintenance efficiency, traffic safety and ecological compatibility of vehicles. All of these requirements can be united under the following name: requirements for motor car efficiency. 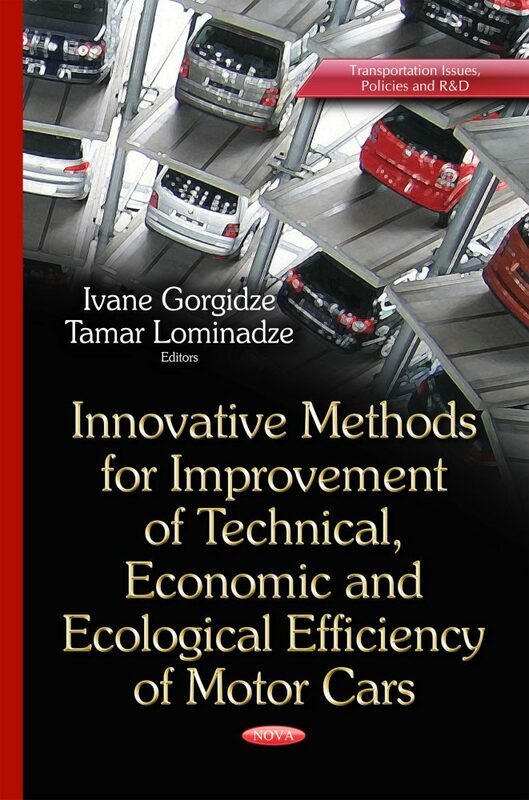 This book includes scientific articles covering the results of elaboration and research of innovative methods for technical, economic and ecological efficiency of vehicles. Among these methods one can particularly note the method of production of motor oils on the basis of amorphous nano-dispersed carbon, based on the new phenomenon discovered by the authors – the tribosynthesis of graphite-diamond secondary surface structures having highly effective multifunctional tribological mechanism of action (known as the “Iosebidze-Kutelia effect”).